Does Flex-A-Lite 398 fit your vehicle? 398 is rated 5.0 out of 5 by 8. Rated 5 out of 5 by CTS LUV from awesome fan. Bought this fan to cool my son's 79 luv truck with a 377sbc in it. The previous fan just wasn't cutting it at 200-205 degrees. Flipped the blade around to use it as a pusher and it keeps the truck running at 190 sitting in traffic. Only thing I did not like were the nylon push locks to hold it through the radiator. They didn't really want to stay tight so I used ones I had. 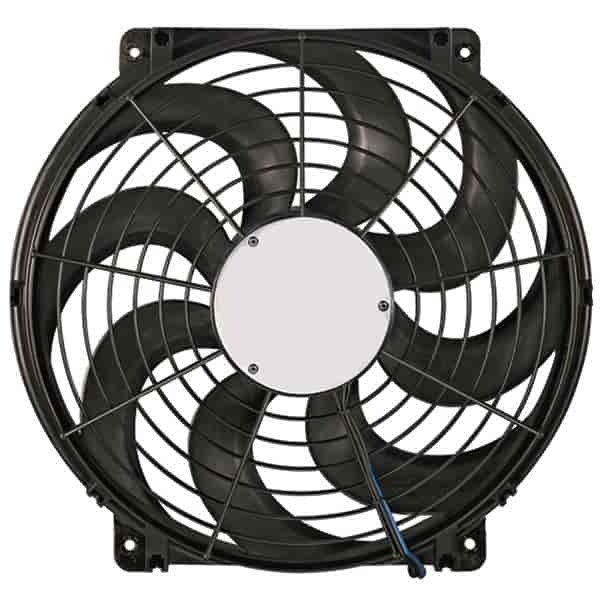 Rated 5 out of 5 by Gibert from Super fan If you want a good fan,nothing better for the price. Exellent fan. What is the measurement from mounting hole to mounting hole on this unit? Thanks! The height of the mounting holes is approximately 15 x 1/2&quot; center to center. The distance of the width of the mounting holes is approximately is 9 3/4&quot;.